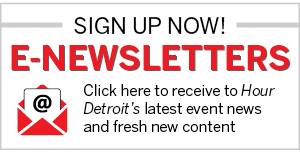 1939Like all American cities that spread and grew into great metropolises, Detroit became an umbrella of disparate ethnic, religious, and racial communities. When Belgians, Poles, Italians, and other immigrants moved to Detroit, they tended to congregate in colonies that were welcoming and nurturing to them. For immigrant Hungarians, that enclave was Delray, in southwest Detroit, where manufacturing jobs were also plentiful. When Hungarians first settled there in the late 19th century, Delray was a separate village; it was annexed to Detroit in 1906. Waves of Hungarians came to the city after both world wars, but also in 1956, after the failed Hungarian uprising against their Soviet oppressors. Delray was something of a Little Budapest, with Hungarian restaurants, bakeries, churches, and theaters sprouting up. 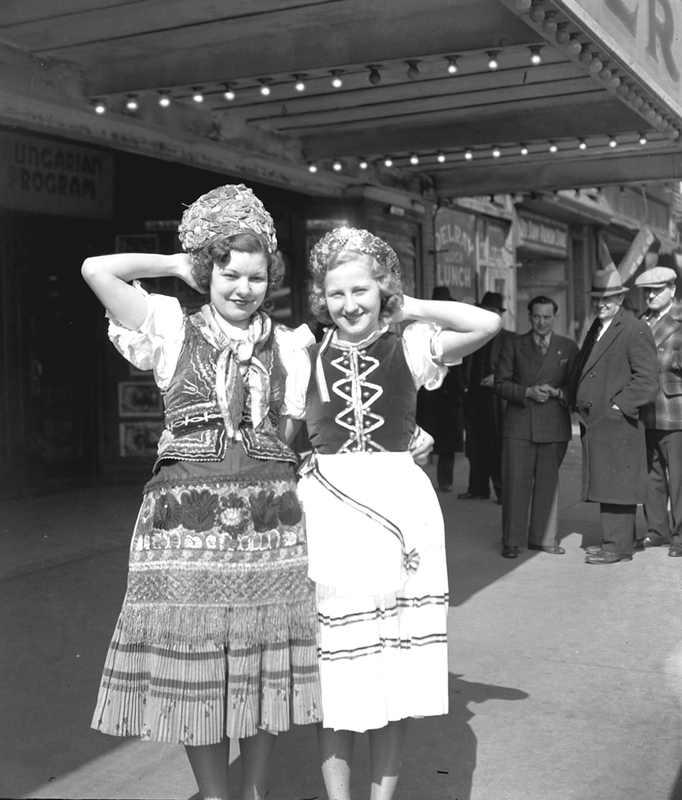 In this photo from the 1930s, two young women in ethnic garb — Julia Nemeth, left, and Helen Esedi, right — pose under the marquee of the Delray Theatre on West Jefferson Avenue. Delray lost its fair share of residents to the suburbs after World War II, but the community was torn asunder in the late 1950s and early ’60s with the construction of I-75. Places of worship, such as Holy Cross Hungarian Roman Catholic Church, which still hovers formidably over South Street, also experienced a hemorrhaging of its congregation. As the book Detroit’s Historic Places of Worship tells it, “Sandwiched in between I-75 and the Detroit River near Fort Wayne, the once-thriving Hungarian community was devastated, many people moved away, and the school at Holy Cross was closed.” Delray continued to lose businesses and population, but some say the construction of the Gordie Howe International Bridge may bring a jolt of vitality to the long-neglected area.